Warmup’s insulation boards help to cut the heat-up time by up to 90% – reducing both utility bills and carbon footprint. Tiles can be fixed directly to the boards and being waterproof they’re suitable for showers, bathrooms and kitchens, they also carry sound proofing properties. Made from extruded polystyrene, the boards can withstand a load of 30 tonnes per square metre and can be cut to size to suit all shape rooms. Available in a range of thicknesses, we also stock Warmup glass fibre tape to create waterproof joints between boards. At Atlas Ceramics, we sell a wide variety of Warmup products, including Warmup Insulation Boards. Warmup is one of the best manufacturers of underfloor heating systems and products in the world, and its insulation boards are essential if you want to ensure you get the most from your underfloor heating system. Here’s some more information about Warmup Insulation Boards. We also welcome your questions, so please get in touch if we can help you with anything. What Do These Boards Do? Insulation boards are positioned underneath your electric underfloor heating system (heat mats or loose wiring) to reduce the amount of heat that is lost downwards into the ground. The boards work by having a low thermal conductivity to prevent the thermal mass from escaping downwards. As a result, the subfloor absorbs far less heat, sending more heat upwards into the room. By installing insulation boards, you can significantly increase the amount of heat that rises into the room. This will help you to heat up your room much faster, often in minutes rather than hours, helping you to save energy and money. Why Choose Warmup Insulation Boards? Warmup’s boards provide superior insulation with high R-values, cutting the amount of time it takes to heat your room by up to 90%. They can help you to heat your room up to 10 times faster and in as little as 10 minutes. By heating up your room faster and reducing energy use, these boards can help you to reduce your carbon footprint and slash your energy bills. The insulation boards are very easy to install, and you can fix your tiles directly on top of them. They are waterproof so you can use them in the shower, bathroom, kitchen or other areas where the floor gets wet. The boards also have soundproofing properties to help reduce noise levels in the room. Made from extruded polystyrene, these boards are incredibly durable. On each side, they have a layer of cement reinforced by fibreglass and they can withstand up to 30 tonnes per square metre as well as being flexible. You can easily cut the boards using a utility knife, allowing you to fit them around obstacles in any room. The boards come in a wide range of thicknesses that are suitable for various rooms. The 0.5mm cement coating is an ideal surface for tile adhesive, levelling compounds and plaster, so no priming is necessary. While you do not have to use insulation boards as part of your underfloor heating system, they are incredibly useful. They create a more efficient underfloor heating system that heats up quicker, helping to save money on your heating bills. You can use them in any room, even irregular-shaped rooms with obstacles, because they are easy to cut to the exact shape you need. They can be used in small and large rooms, as well as in the bathroom and kitchen, and they are especially useful in rooms without good insulation. They can also be used with both Warmup Heating Mats and the Warmup Loose Wire System. We are currently providing a 35% discount on all our Warmup products, including insulation boards. Buy any Warmup product from our store and purchase it online, and you will get a huge discount automatically. It won’t last long, so act quickly to take advantage of these large discounts! Installing a Warmup Insulation Board is easy, and you might be able to install them yourself. If not, you can hire a professional to install them for you. Make sure the surface should be clean, dry and free from dust. Use a floor trowel to apply a layer of flexible tile adhesive onto the floor. Lay the insulation boards on top and press firmly. The joints should be staggered like bricks. If there are obstacles in the room, cut the boards using a utility knife and place them around the obstacle. When installing onto a wooden floor, screw the boards down at 300mm intervals. Add water proof jointing tape between the boards in wet areas to make the sides and gaps waterproof. For each of these products, the length is 1,250mm and the width is 600mm. 1.33 boards are required per metre. 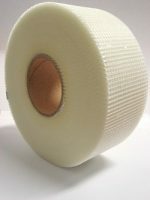 We also sell Warmup Glass Fibre Tape, which is used to cover the joints in the boards once they have been placed in position to ensure they are waterproof. One roll provides enough tape to cover 25 boards. You can use insulation boards with both Warmup Heating Mats (StickyMats) and Warmup Loose Wire Systems, both of which we sell at Atlas Ceramics. You can buy your Warmup Insulation Boards directly from our website. Simply choose your preferred thickness, add them to your basket and complete the checkout, and you will soon be enjoying all the benefits of a more efficient underfloor heating system. And if you have any questions about costs, offers, current prices, deals, delivery, installation, running the systems, please contact us for more information and we will be pleased to assist you. Customers have been enjoying Warmup solutions for years as their system is highly recognised in the flooring industry which provides great retention rates from those in the trade.